I am quite new to cruising. I’ve been on a few repositioning cruises with friends and have gone on one Caribbean cruise with my family. Cruising was a great adventure for our family! It allowed us to check out places we have never visited before. It was stress-free and fun. I was surprised at all the things I had to prepare for our cruise. Here are few things you can do before your next cruise. 1 > Check your e-docs: The cruise line will have your e-docs ready to view online or may email them to you. Once you have access to your e-docs complete your online registration. 2 > Research ports and book excursions. Don’t wait until you are on the ship to figure out what to do while in port. Do your research (travel forums are the way to go!) to find out what’s available to do in ports and if a paid excursion are the way to go or can be avoided. 3 > Start researching restaurants and menus before boarding the ship. This is a very important step. You’re going on a cruise so you want to eat the best of the best. Some restaurant menus are available online, others you have to search for on travel forums (such as Cruise Critic). 4 > Make specialty restaurant reservations. Some cruise lines allow you to make specialty restaurant reservations before boarding. If you know you want to eat at specific restaurants why not book your table in advance? 5 > Make your show reservations. I was shocked that shows onboard our last cruise got fully booked. If you are looking forward to catching a great show on board your cruise ship make sure you go online and reserve your seats. 6 > Print out documents for kid’s club. Many cruise lines have incredible kids clubs. It’s smart to look up what’s required to register your child in kid’s club in advance. Some cruise lines recommend printing out all documents needed for kid’s clubs and having them ready for the first day of your cruise. 7 > Print tags for your bags with your name and room number. Having a clear label on your bag with your name and room number makes it really easy for the porters to get your bags to your room quickly. Luggage tags are usually available in your e-docs. 8 > Alert the cruise line if you have special dietary requests. Most cruise lines can accommodate these requests if notified 8 weeks before your cruise. 9 > Check with the cruise line about what you can and can’t bring on board. Unfortunately, items like your fun new drone will most likely be banned. Water, pop, and alcohol are also usually prohibited or subject to a corkage fee. 10 > Check the height and weight restrictions for some onboard activities. 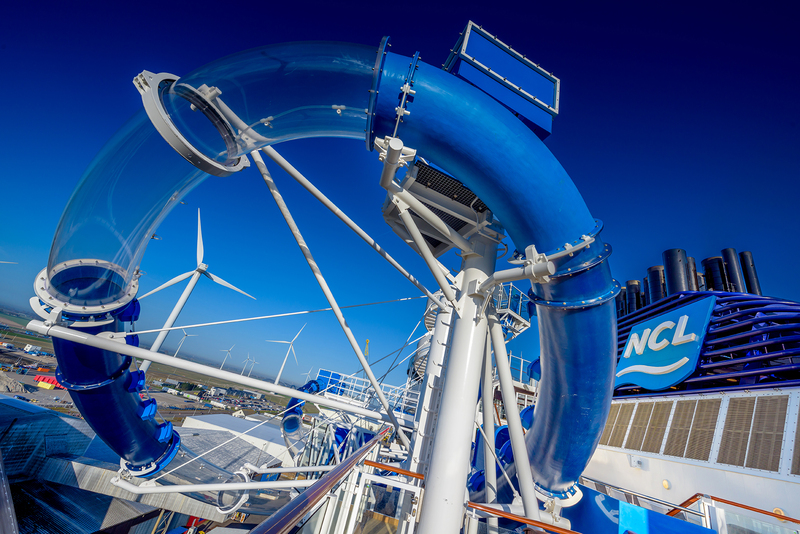 Many cruise ships have incredible water slides, ropes courses, race tracks and more. Check with your cruise line in advance if your child will be permitted on these special attractions to avoid disappointment. In a few weeks, I’ll be boarding the Norwegian Bliss for their inaugural cruise from Seattle. I cannot wait to experience this new ship, test out the largest racetrack at sea and eat some delicious food onboard. I’ll be sharing all my adventures live while I’m on the Bliss. Be sure to follow me on Instagram and Facebook. 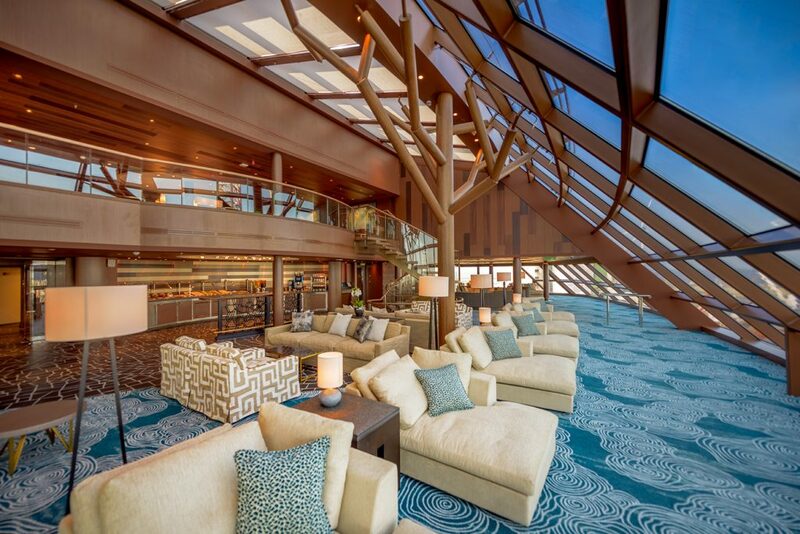 Taking a cruise is a great way to experience new places. I highly recommend taking a cruise with your partner or family. I’d love to know, have you been cruising before? 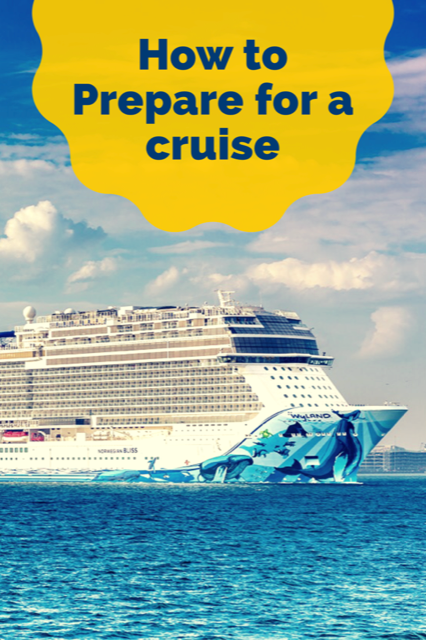 What are ways that you prepare for a cruise? That is one large ship, I have never been on a cruise, but they sound wonderful! Have you ever been on a singles / swingers cruise ?? I have not Pat but I know NCL has single/solo passenger deals. 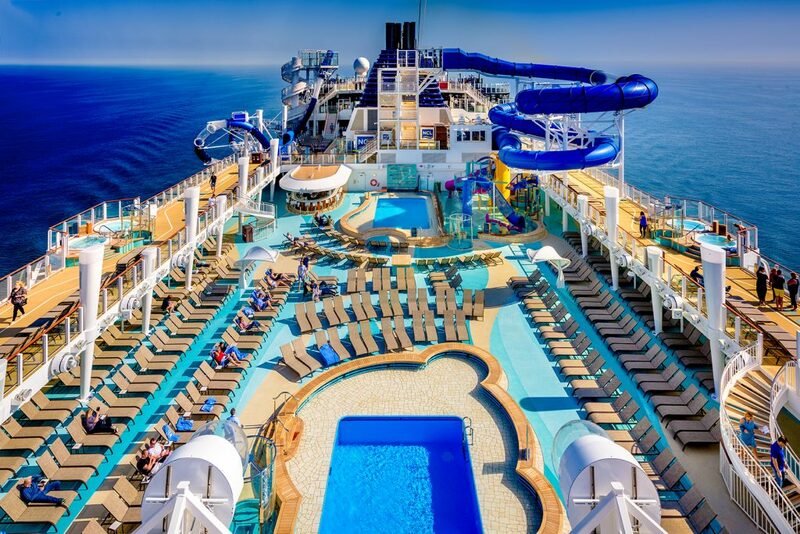 Don’t mean to correct you but the Norwegian Bliss does not have the only race track at sea. The sister ship Norwegian Joy (based in Asia) was the first ship to have the race track at sea. I have never been on a cruise before so these tips will come in handy when I take one. Thanks, I will be saving these!! Thank you for all the great tips! I have never been on a cruise but would love to go on a cruise to Alaska. I’ve never been on a cruise before. I love this idea of being prepared though, if I ever do go on a cruise now I know what to prepare myself for and with. One day i will go on a cruise , thanks for sharing and the tips are great i will make sure to remember !!! Cruising is my favorite way to travel. I remember being so nervous before our first one, wanting to do and get everything right before we went. I would cruise all over the place now if I could. Love it. I love cruising. I’ve gone on about 10 or so. Those are some great tips, too! I hope you enjoy your cruise. We’ve never had to reserve seats for shows as there was always plenty of seats. Maybe ours didn’t have the popular shows. We went on a cruise for our honeymoon and things have changed so much since then. I hope to book another one soon. We’ve enjoyed going on 4 cruise vacations so far and would love to go again. These are helpful planning tips, thanks. Excellent tips! I love to research things really well before a trip. I’ve always wanted to do a cruise… someday! I’ve actually never been on a cruise before but this list would be super helpful to anyone looking for some tips! We are hoping to do a cruise on our next family vacay so these are super helpful! this cruise looks so incredible. I’ve never been on a cruise so I’ll definitely be saving this for later! You’re making me so ready for a cruise when the day comes. OH MAN! Thank you for all the recommendations, I would’ve never thought! We’ve cruised a lot and one suggestion I have is to go on Cruisecritic dot com and sign into the cruise you will be on and meet people on the same ship. It is perfect for getting advice, ideas but best of all is tours. People get groups together and book private tours, they are usually the same price or less than the ship excursions, always WAY WAY better, more personal and you don’t have to wait for the hundred or other people in the groups that are holding you back. Plus you decide what to see. We have loved every single private tour we’ve done. Yes!! I absolutely love Cruise Critic. It’s my go-to when preparing for a cruise. The one and only cruise I went on I felt like I didn’t prepare enough for. If there ever next time I am looking into so much more. It’s also a great idea to have your ground transportation all sorted beforehand too. One fewer thing to worry about. A lot of preparing before hand will save you a bunch of trouble!